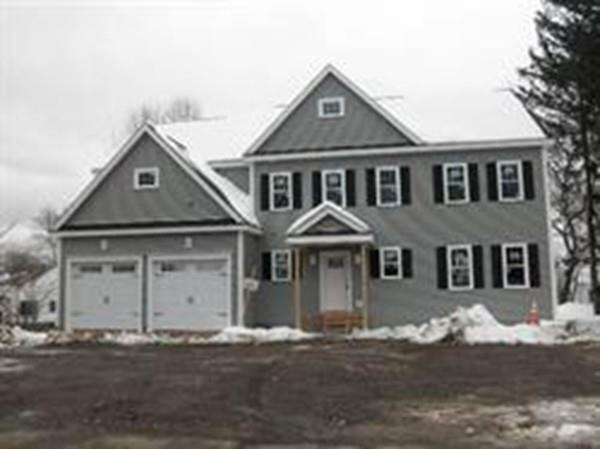 Holliston New Construction! Be in this beautiful new home August 2019! Quality builder. Fantastic open floor design. 4 bedrooms. First floor features 9 foot ceilings, home office and mudroom. Hardwood on entire first floor. For your convenience a 2nd floor laundry, large master bedroom with double sized walk in closets, luxury bath with double vanity and large tiled shower. Three additional bedrooms with spacious closets. Do you need more space? Builder can add a finished basement area with bath. Call today for more information. We have seven lots to choose from and different house plans from 2150-3500 square feet of living space. Listing courtesy of Darla Prentice of Prentice Realty Group. Listing provided courtesy of Darla Prentice of Prentice Realty Group.